Pad Thai is Thailand’s National dish and the most famous street food meal for tourists. The popularization of Pad Thai, as it turns out, was but one of several measures taken by Thai authorities in the 1930s and 1940s to both Westernize and modernize the country. But Pad Thai was also about nutrition. The late 1930s were a difficult time economically for the country, and rice noodles, which were cheap, provided a much-needed boost. Couple that with vegetables and inexpensive protein, and it was the perfect, nutritious meal! 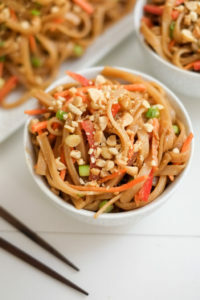 What’s most interesting about Pad Thai, however, is that it probably isn’t even Thai. Noodles, stir-fry, and, especially, noodle stir-fries are usually Chinese. Of course, in traditional and authentic Pad Thai, there are ingredients like chilis that your dog should NEVER eat. Also, tamarind paste is most always used for Pad Thai, but in our research, we were not able to conclusively determine that it was safe for dogs. So we have taken this delicious dish and made a version for dogs that you can share with them! This recipe takes the flavor profiles of Thai food and a nutritious, supplemental meal for your dog. Place prepared chicken or what protein that you are using in a bowl and toss with coconut aminos. If you are not using, toss with an extra tablespoon of honey. Set aside. Combine Pad Thai sauce ingredients together in a cup, stirring well to dissolve honey. Set aside. Bring a large pot of water to boil. Dunk in rice noodles and switch off heat. Allow noodles to soak approximately 6 minutes, or until soft enough to bend easily, but still firm and ‘undercooked’ by regular standards (this is the key to good Pad Thai, so be sure not to over-soak or boil the noodles. They will finish cooking later). 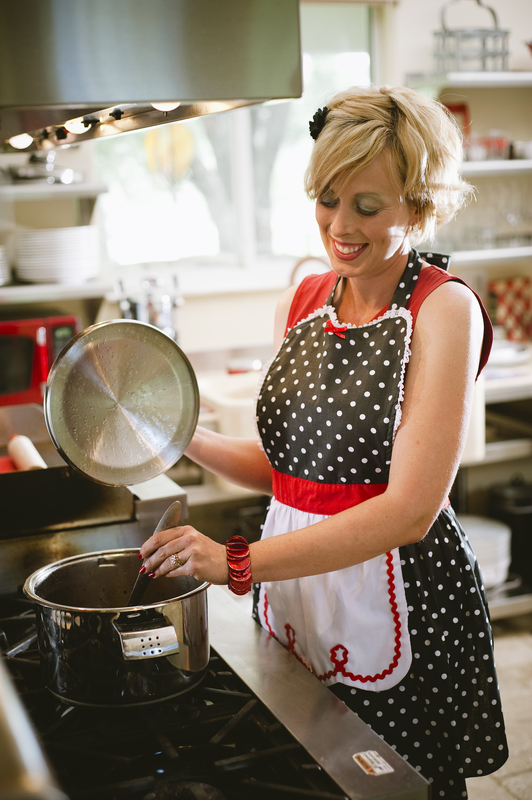 Drain and rinse noodles briefly with cold water to keep from sticking. Set aside. Heat a wok or large frying pan over medium-high heat. Drizzle in the oil and swirl around, then add the spinach or rainbow chard, carrots and ginger. Stir-fry 1 minute to release the fragrance. Add prepared noodles plus 3 to 4 tablespoons of the Pad Thai sauce. Using two utensils, lift and turn noodles to stir-fry and combine with other ingredients. Continue frying in this way, adding more of the sauce every minute or two, until all sauce has been added and the noodles are chewy-delicious and a little bit sticky (8 to 10 minutes). When sauce has been absorbed and noodles are cooked. Let cool completely before serving to your dog. Never serve hot food to your dog. Squeeze a lime slice over each portion. Enjoy! Disclaimer: This is meant as a treat and not a regular meal replacement. Never serve hot food to your dog. Always consult a vet before making any changes to your dog’s diet.